What's New at Our Office? Welcome to Greenville Pediatric Dentistry, located in Greenville, South Carolina. Drs. Wilson, Uprichard, and Czarsty's top priority is helping your child achieve and maintain a beautiful, healthy smile. They are committed to providing their patients with the highest standard of dental care in a pleasant and comfortable environment. They believe in the importance of patient education and will work with your child individually to ensure they understand how to practice good oral hygiene from home. We are conveniently located to Greenville, Simpsonville, Easley, Taylors and Powdersville. Drs. 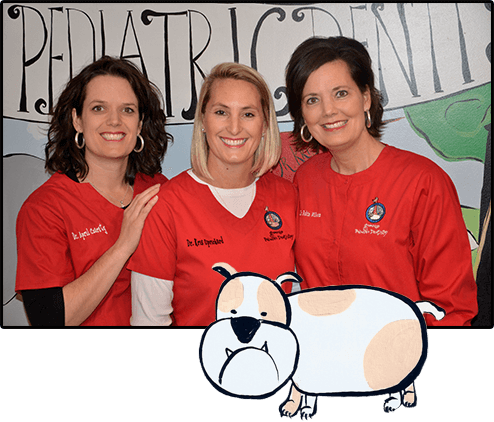 Wilson, Uprichard and Czarsty are pediatric dentists in Greenville, SC and the surrounding cities of Simpsonville, Easley and Taylors. We serve infants, children, teens, young adults and special needs patients in a fun, friendly environment.